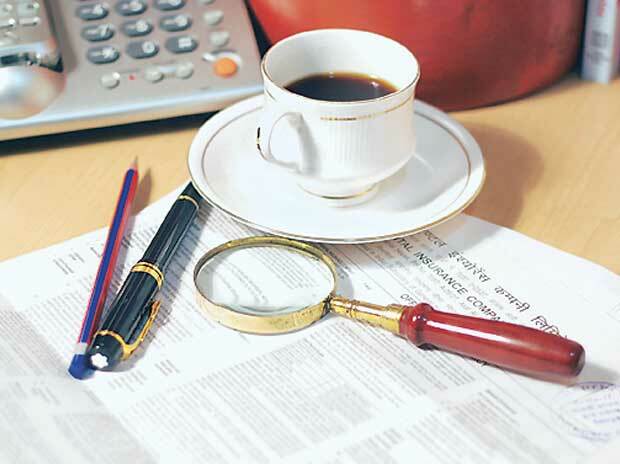 Irdai on use-and-file products - Corporate Risks India Insurance Brokers Pvt. Ltd. The Insurance Regulatory and Development Authority of India (IRDAI) has said that commercial products in general insurance will be sold under use-and-file procedures. Use-and-file is a procedure where the insurer is permitted to market the product without prior noting of IRDAI. The guidelines will come into force with effect from April 1, 2016. The procedure requires the products to be necessarily filed with the Authority before these are marketed. In its guidelines on product filing for general insurance companies, IRDAI said that all retail products (including their modifications) shall be filed with the authority under File and Use procedures. However, the commercial products offered to commercial customers (such as micro small & medium enterprises, small shops and establishments, trustees, cooperative societies etc.) with a policy sum insured up to Rs 5 crore (for package policies fire section Sum Insured) or as prescribed by the Authority from time to time shall be filed under File and Use Procedures. However, the regulator said that all products under File and Use procedures need thorough scrutiny and recommendations made by the Product Management Committee of the insurer. The insurer, in view of File and Use and Use and File procedures, has to set up a Product Management Committee to review and recommend all the products that are in existence either continues to be offered/withdraw/modify. It also said that all new products proposed to be filed with the Authority. The deviations, if any, from the underwriting policy has to be brought to the notice of the board for approval by PMC. It added that the deviations should not be undertaken in a routine manner, except in extreme exigencies by recording full facts. The PMC has to submit reports independently to the insurer and assist insurer in effective control over the risks posed, in particular, by insurance products being sold by the insurer. In order to be in consistence with the board approved underwriting policy, the PMC will carry out a due diligence process and record its concurrence/sign off on various product related risks for all products falling under File and Use and Use and File procedures. It should necessarily include the high level officials of insurer, who are primarily responsible in product design, from departments like underwriting, marketing, actuary and claims among others. It is suggested to include the following designates in the PMC. However, the CEO of the insurer will have an overall responsibility for ensuring that a robust due diligence process is in place to mitigate risks of new and current products. “The role of PMC is very important under these guidelines, which is required to act as a self governing body within the insurance company to ensure quality product design, filing with complete compliance of regulatory requirements and performance review,” said IRDAI. With respect to tenders for the tender process for the proposed insurance schemes sponsored by government, IRDAI said that insurers should not canvass business through a non-participative process of tendering or e-bidding including to any government undertaking or PSU. The regulator said that it is reiterated that limiting competition to price alone is against the interests of the client to whom quotation is offered and since the policyholders’ fund ultimately is affected by the results of the business, it is generally against policyholders’ interests. With respect to commercial products under use-and-file, IRDAI said that pricing should be made based on sound actuarial calculations, supportive data and the discounts/loadings offered should be on objective basis with appropriate justifications duly certified by the Appointed Actuary. However, nothing prevents the Authority to check the filings in detail and the Authority, if finds the product is not in the interests of the policyholders or not in conformity with the regulatory compliance, may advise to suspend or withdraw or to re-file even under File and Use Procedures.